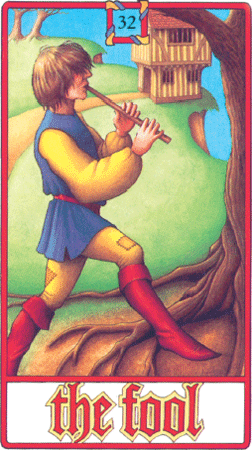 One of the messages of the Fool Card is that you cannot plan your happiness. Sometimes it happens. Sensible people have jobs, mortgages, marriages, homes and responsibilities, but these do not necessarily make them happy. You cannot track happiness like a hunter after your prey. So there are times in your life when you need to go off at a tangent and do something that everyone tells you is irresponsible. Leave your job, become an artist, buy a caravan, fall in love with someone unsuitable. There are times when you need to trust yourself and not be governed by convention. £15.50 (FREE Delivery in the UK; plus P&P for other countries) Postage and packing included. Our prices depend on the postage from UK to deliver your product. When you receive a deck of Psycards… put in the pouch. It’s personal and individual to you. Don’t let someone use your deck. It needs to be close to you or near your body. Your psychic energy needs to be close to you. It needs to be protected. A crystal near the Psycards or in the pouch helps you and Psycards to do their job and make flow the psychic power goes into you.